You have two new rail promotions to consider for winter travels: Half-price on VIA Rail Canada and a Eurostar discount. VIA Rail Canada extended its systemwide half-price sale. Buy now through November 17, at least three days in advance, for travel November 13 to February 14, subject to the usual holiday blackouts and limitations. Sample fares include $C771.50 for a sleeper cabin Toronto-Vancouver, or $C71 Toronto-Montreal. VIA also continues its ongoing “Express Deals” promotions on selected trains at as much as 75 percent off the regular prices. Travel through the Chunnel in Eurostar’s “Standard Premier” class for 20 percent off and you’ll also get a $20 gift card at Amazon.com. 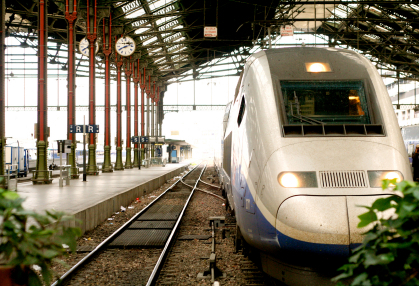 Buy tickets from Rail Europe through November 16, travel through January 31, with the usual holiday blackouts. The discounted London-Paris fare starts at $131, featuring extra roomy seats and a free snack and drink. But if you’re the frugal sort, regular second class starting at $60 (at a lousy time; $87 on most other departures) is perfectly comfortable. Nothing significant new from Amtrak.